For several years, lawmakers on the left have been pushing to increase the federal minimum wage. They claim that the current rate, $7.25 an hour, is simply too little for a family to get by on. To stress this point, several politicians and other public figures took part in the Live the Wage Challenge in 2014, living for one week on minimum wage to show just how difficult it is. These efforts have met with little success in Washington, but there’s been a lot more movement at the state and local levels. The Economic Policy Institute (EPI) reports that more than half of all U.S. states have increased their minimum wage since 2014. On top of that, 39 cities and towns have adopted minimum wages higher than the level for their state – as high as $15 per hour in some places. However, these moves remain controversial. Some lawmakers are actively working to block cities in their states from raising their minimum wage above the state level, claiming this will hurt business owners and limit job growth. The National Employment Law Project reports that 25 states have already passed “preemption laws” of this kind. Meanwhile, labor unions continue to push the Fight for $15 campaign, seeking to increase the minimum wage to $15 nationwide. At the heart of this debate is the question of what really amounts to a living wage. In the words of the Fight for $15 campaign, it’s all about how much America’s workers need to “feed our families, pay our bills, or even keep a roof over our heads.” And as it turns out, that’s not at all a simple question to answer. One of the many politicians who has opposed a hike in the minimum wage is Rob Portman, a Republican senator from Ohio. In 2013, as Politifact reports, he claimed in an interview that less than 1% of all Americans were “both…under the line of poverty and on minimum wage.” The line he refers to is the poverty guideline: a dollar figure used by the federal government to determine who is eligible for aid programs, such as Medicaid. Portman’s point seems to be that the minimum wage is already high enough, because most minimum-wage workers are not living in poverty. But this claim isn’t as straightforward as it looks. It’s not even all that easy to figure out whether it’s true – and if it is true, it’s not clear how much it matters. First of all, the federal government has more than one way of defining poverty. The Department of Health and Human Services (HHS) says there are two slightly different measures. 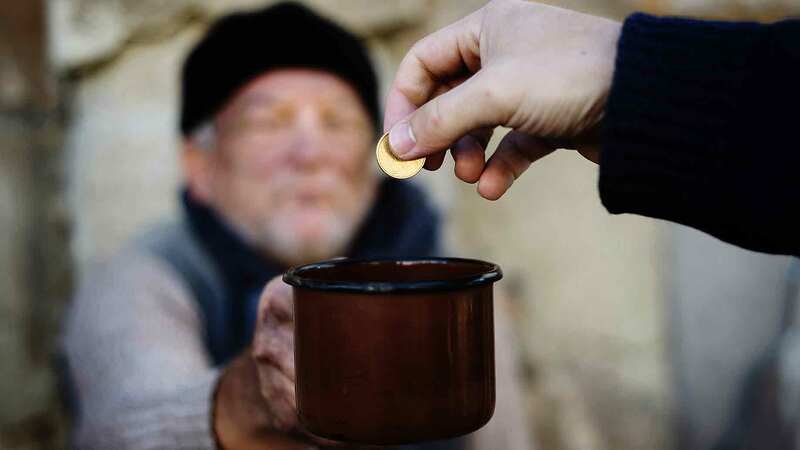 The “poverty threshold,” set each year by the Census Bureau, is the number the government uses to figure out how many Americans are living in poverty. HHS uses this number to set the “poverty guideline,” which is used to decide who qualifies for benefits. So, when Portman talks about the “line of poverty,” it’s not clear which line he means – the poverty guideline or the poverty threshold. It matters, because the numbers aren’t the same. As the Census Bureau explains, the official poverty threshold is the same for the entire country. The poverty guideline, by contrast, is higher for Alaska and Hawaii than it is for the rest of the country, because the cost of living is higher in these states. For the sake of simplicity, let’s assume Portman is talking about the poverty guideline for most of the United States. In 2017, this line was set at $12,060 for a single person. A person earning $7.25 an hour, 40 hours a week, would bring home $15,080 a year, before taxes – assuming they took no vacation or sick days. Therefore, this single person would indeed be making enough to be slightly above the poverty guideline in most states. However, the picture changes for people raising children on minimum wage. According to the Department of Labor, in 2015 there were 2.8 million single parents in this country earning the federal minimum wage. The poverty guideline for a family of three is $20,420, so a single mom trying to raise two kids on that same $15,080 per year would be well below it. As you can see, even if you assume that anyone whose income falls below the poverty guideline is “poor,” and anyone above it is getting along just fine, it’s not clear that all minimum-wage workers are over the line. It’s also unclear if this is a reasonable way to define poverty: The poverty guidelines are based on the official poverty threshold from the Census Bureau, and the formula used to calculate this threshold is pretty archaic. The poverty threshold was first developed in the mid-1960s by Mollie Orshansky, a worker at the Social Security Administration. At the time, the government didn’t have the accurate figures it has today to show how much the average family spends on food, housing, healthcare, and so on. The only expense Orshansky could calculate with any accuracy was food costs, based on food plans developed by the U.S. Department of Agriculture (USDA). Orshansky found a 1955 USDA survey that showed the average American family spent one-third of its after-tax income on food. Based on this, she estimated that the smallest amount a family could live on would be three times the amount they needed to feed themselves on the most frugal diet possible. Today, the Census Bureau continues to calculate the poverty threshold by taking the cost Orshansky worked out for a “minimum food diet” in 1963, adjusting for inflation, and then multiplying it by three. The problem is that a lot has changed since 1955. A 2016 survey from the Bureau of Labor Statistics shows that the average American family now spends only 10% of its pretax income on food. Its biggest expense is housing, which accounts for 25% of income. Transportation and healthcare also take up a big chunk of the budget. The Census Bureau itself admits that the poverty threshold isn’t the best measure of whether a family’s income is enough to meet its needs. It stresses that the threshold is only “a statistical yardstick,” not “a complete description of what people and families need to live.” In other words, being over the “line of poverty” is no guarantee that a family actually has enough money to live in any reasonable comfort. This is the point politicians were trying to highlight through the Live the Wage challenge, when they tried – and, for the most part, failed – to survive on minimum wage for a week. All in all, the poverty guideline isn’t a very good indicator of how much a family needs to make ends meet. However, there’s no real consensus on what would be a better measure. Various economists and policy makers have tried to analyze the average family’s budget and come up with an alternative guideline for a living wage, but their findings vary widely. Some proposed measures are only slightly higher than the current poverty guideline. Others suggest that in some cases, a family could make as much as $75,000 a year and still have trouble paying all its bills. In 2011, the Census Bureau came up with a new way of calculating how many Americans live in poverty, known as the Supplemental Poverty Measure (SPM). It’s a lot harder to calculate than the official poverty threshold, but it offers a clearer picture of how much a family really needs to get by. It Counts More People per Household. The official poverty measure assumes that a “household,” for purposes of resource sharing, is all the people who live under the same roof and are related by birth, marriage, or adoption. The SPM uses a broader definition: It counts foster children, unmarried partners and their children, and any other children who live with the family. This definition recognizes that two adults bringing up five children have just as many mouths to feed even if they aren’t all related to each other. It Calculates a Family’s Needs More Precisely. The official poverty threshold is based on food expenses alone. It takes the cost of a basic food budget, as calculated in 1963, and adjusts that for inflation. The SPM, by contrast, looks at what families actually spend today on basic needs: food, clothing, shelter, and utilities. This gives a much more accurate picture of a family’s budget than the official model. It Accounts for Location. The official poverty threshold assumes that all families need the same amount to live on, no matter where in the country they live. However, surveys show this isn’t true. Housing costs, which are the biggest expense for most families, vary widely from one city to another. The SPM accounts for this by factoring in rent or mortgage costs for different parts of the country. It Counts Benefits as Income. According to the official poverty measure, a family’s resources include only actual cash coming into the house: wages, pensions and other retirement funds, Social Security benefits, interest, and dividends. However, many low-income families also receive various types of financial assistance. For instance, a single family may receive subsidized housing, food aid, such as SNAP or free school lunches, and home heating aid. The SPM counts all these benefits as part of a family’s resources, because they help the family meet its basic needs. It Deducts Certain Expenses. The official poverty measure looks only at a family’s total cash income – that is, the amount that would be listed under “total income” on their tax return. However, most people’s actual take-home pay is lower than their total income. A certain amount gets taken out for taxes, and there may also be health premiums that come out of pretax pay. In addition, many families have unavoidable costs – work expenses, child support, or child care costs – that don’t get counted as taxable income when they file their taxes. Since these expenses are unavoidable, the SPM doesn’t count the money spent on them as part of a family’s income. Since 2011, the Census Bureau has releases two separate reports every year measuring poverty in America. One is based on the official poverty threshold, while the other uses the SPM. In 2016, the official poverty threshold was $24,339. According to the bureau’s first report, 12.7% of the population was below this threshold, and thus living in poverty. The SPM for the same year showed that the poverty line was lower in some parts of the country and higher in others. For example, a two-adult, two-child family in North Dakota needed less than $24,339 in income to get by, while the same family living in Boston or Los Angeles needed more than $30,000. Overall, the bureau’s second report found slightly more people living in poverty than the first one – around 14% of all Americans. The difference was especially great for people over 65. According to the official poverty measure, less than 10% of older Americans live in poverty, but the SPM puts the figure at 14.5%. Although the SPM offers a more realistic picture than the official poverty threshold, many people argue that it still vastly underestimates the number of Americans who are struggling. To combat this problem, some anti-poverty organizations have come up with their own tools for measuring the poverty rate. One example is the Basic Economic Security Tables, or BEST Index, developed by the Institute for Women’s Policy Research (IWPR) and the National Council on Aging. The BEST Index calculates a family’s needs based on a wider range of expenses than the SPM. Along with housing, utilities, food and household goods, it factors in the cost of transportation, child care, healthcare, taxes, and emergency and retirement savings. The IWPR considers this “a conservative estimate” of a family’s needs, since it doesn’t include any luxuries like entertainment, vacations, gifts, or dining out. The BEST Index is also highly customizable. You can calculate the needs of all kinds of families, with one or two workers and up to six children, in any area of the U.S. The index looks at what each expense on its list would cost for a particular family in a particular place, then adds them all up to come up with that family’s minimum monthly budget. This gives a more precise estimate of the cost of living than the SPM, which adjusts only the cost of housing based on location. According to Moyers & Company, the BEST Index generally puts a family’s needs at “two to three times the poverty level” – and in some cities, even more than that. For instance, the official poverty threshold in 2016 was about $2,028 per month for a family with two adults and two children. However, the BEST Index shows that a family this size living in Boston would need $6,968 per month to meet its basic needs. To bring in that much, each parent would have to earn a wage of at least $19.20 per hour. Another organization that set out to develop its own tool for calculating a living wage is the Economic Policy Institute (EPI). In 2015, it created a budget calculator that shows how much money a family needs to live “securely yet modestly.” This is a level of income at which families not only survive, but are able to live in safe, decent conditions. Like the BEST Index, the EPI Family Budget Calculator covers costs for housing, food, transportation, healthcare, child care, and taxes. However, it adds in a few extras that the BEST Index leaves out, such as entertainment, personal care items, books, and school supplies. On the other hand, the EPI budget does not include any money for emergency or retirement savings. The EPI calculator is not quite as flexible as the BEST Index. For one thing, it can only calculate expenses for families with up to four children, compared to the BEST Index’s six. And while it can adjust expenses for many different parts of the country, it doesn’t cover every single county and major urban area like the BEST Index does. Still, the EPI calculator is accurate enough to show how much the cost of living varies based on family size and location. For instance, it shows that a family with two parents and two kids needs about $60,000 a year to live a modest lifestyle in Houston, Texas. That’s more than twice as high as the SPM for 2016, which puts that family’s poverty threshold at less than $27,500. According to the EPI calculator, that same family’s budget in New York City would come to nearly $99,000 per year. If you happen to live in New York yourself, you’re probably nodding your head in recognition right now. But if you live in a less expensive part of the country – say, Des Moines, Iowa, which the EPI found to fall right in the middle of the pack for cost of living – you probably find these numbers baffling. Perhaps you even suspect the data must be wrong somehow. It just doesn’t seem plausible that a family could need $99,000 a year to pay all its bills – and for necessities, rather than luxuries. However, there’s no lack of evidence that this is really the case. For example, a 2015 survey by SunTrust Bank found that across the country, nearly one in three households making over $75,000 per year still live paycheck to paycheck. Many of the respondents in the SunTrust survey blamed their lack of savings on poor spending habits, such as dining out too often. However, when the Washington Post looked carefully at the cost of living in different parts of the country, it found that there were many areas where even the most financially disciplined workers could have trouble making ends meet on a $75,000 salary. Child Care. In some areas of the country, child care actually accounts for a bigger chunk of a typical family budget than housing. In 2015, Child Care Aware reported that in Massachusetts, the average cost of day care was over $17,000 for an infant and more than $12,700 for a four-year-old. For a family with a $75,000 annual income, keeping these two children in day care would eat up nearly 40% of its earnings. Healthcare. Healthcare costs also take a big bite out of many families’ budgets. According to the Kaiser Family Foundation, the average employer-sponsored healthcare plan cost $18,764 in 2017, and workers paid $5,714 of that out of their own pockets. For self-employed people who must buy their own health plans, the costs are higher still. According to eHealthInsurance, families that bought a health insurance policy through the federal exchange in the first two months of 2017 paid an average of $1,021 per month – $12,252 per year – in premiums. On top of that, the average family policy had an annual deductible of $8,352 – so a family’s out-of-pocket healthcare costs could easily come to more than $20,000. Housing. In some cities, rent and mortgage costs are ridiculously high. The most notorious of these is New York, where according to RentJungle, the average cost of rent is $2,662 per month for a one-bedroom apartment and $3,374 per month for a two bedroom. That means a family of four would have to spend over $40,000 per year on rent – more than half the annual budget for a family making $75,000. Transportation. The Federal Highway Administration reports that the average American family spends about 19% of its budget on transportation. However, this amount varies widely by location. Families who live out in the “exurbs” – the distant outskirts of a city, where cars are the only way to get around – spend 25% of their income on transportation. By contrast, those in cities and other walkable neighborhoods can often live without a car, cutting their transportation costs down to 9% of their income. This creates a dilemma for many families: deciding whether to move into the city and pay exorbitant rates for rent, or stay out in the suburbs and spend more money – and more time – on driving. Student Loan Debt. Many American families are struggling with an expense that’s not even mentioned in either the EPI calculator or the BEST Index: student loan payments. According to the Pew Research Center, 37% of all adults under age 30, and 22% of those aged 30 to 44, have student loans they’re still working to pay off. The average new graduate in 2016 was carrying about $17,000 in student loan debt – but this figure varies by location. The Student Loan Report for 2017 shows that the average student loan balance ranges from $7,545 in Utah to $27,167 in New Hampshire. Overall, graduates in the Northeast tend to carry the most debt, while those in the Southwest have the least. 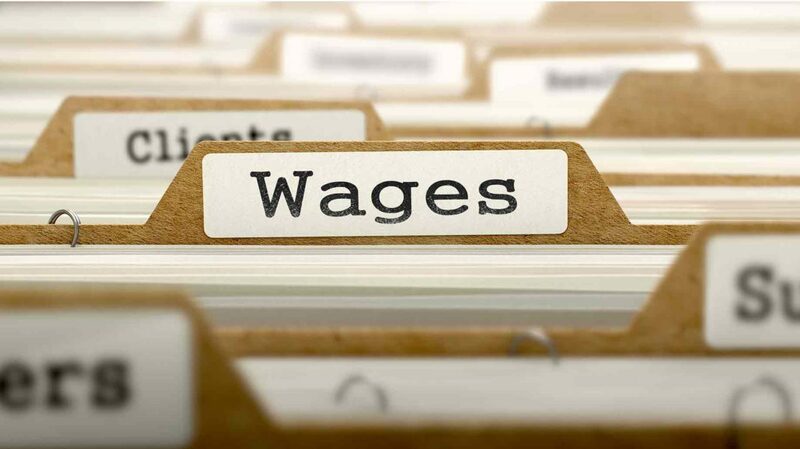 The bottom line is that there’s no way to pin down the meaning of a living wage with a single number – the cost of living varies too much from one part of the country to another. If lawmakers want to set the minimum wage at a livable level for everyone, they’ll have to do it at the city and state levels – which is exactly what’s happening now. This is where the BEST and EPI data can be a real help. State and local governments wrangling over the minimum wage can use these tools to figure out just how much a family needs to get by in their area. Based on this information, they can make sensible policy choices – not just about wages, but also about who should qualify for benefits, such as food aid or reduced mortgage rates. The BEST and EPI calculators are useful for individuals too. Looking at the BEST Index or the EPI Family Budget Calculator can help you evaluate your household budget and see how the amount you’re spending in different categories compares to the reasonable minimum. You can also use these tools to estimate how much it would cost your family to have another child, or how much you could save by moving to another city. Do you think the minimum wage in your area is enough to live on? Is it enough to support a family?